The Bharatiya Janata Party (BJP), amid growing protests over the Citizenship (Amendment) Bill, asserted that the interest of each and every state will be taken care of. New Delhi: The Bharatiya Janata Party (BJP), amid growing protests over the Citizenship (Amendment) Bill, asserted that the interest of each and every state will be taken care of. “We’re reaching out to alliance partners who have expressed concerns over the bill, we’ll reassure them that interest of each and every state will be taken care of. 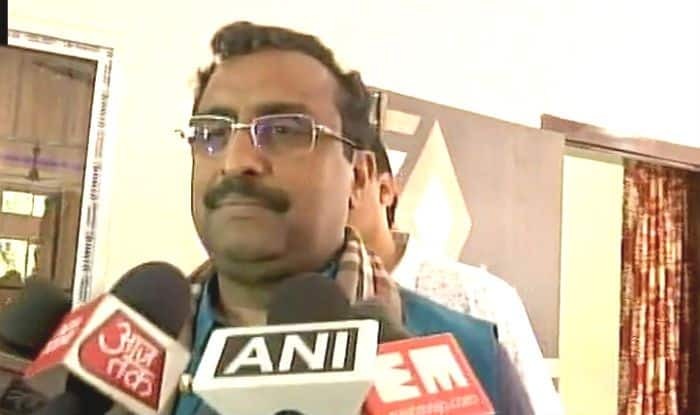 We’re confident that those who have left will come back,” BJP leader Ram Madhav was quoted as saying to ANI. Protests against the Citizenship Bill have rocked the entire northeast region, with several indigenous organisations raising voice against the legislation, citing threat to their identity and culture. Manipur Chief Minister N Biren Singh said that the BJP-led government in the state would not support the passage of Citizenship (Amendment) Bill unless there was a provision for protecting the indigenous people of the northeast. He also stressed that the government wants President’s assent to Manipur People’s (Protection) Bill, 2018 before passage of the Citizenship (Amendment) Bill, 2016. Meanwhile, widespread protests continue to rock Assam. While, Chief Minister Sarbananda Sonowal was shown black flags during a Bihu celebration event a few days back, the Congress on Saturday suggested him to quit the BJP and form new government with its support. Furthermore, the AGP has assured to restore its alliance with the saffron party if the Citizenship Amendment Bill is scrapped. The Citizenship (Amendment) Bill, which was passed in the Lok Sabha last week, provides for according Indian citizenship to Hindus, Jains, Christians, Sikhs, Buddhists and Parsis from Bangladesh, Pakistan and Afghanistan after six years of residence in India instead of 12 years, which is the norm currently, even if they do not possess any document.